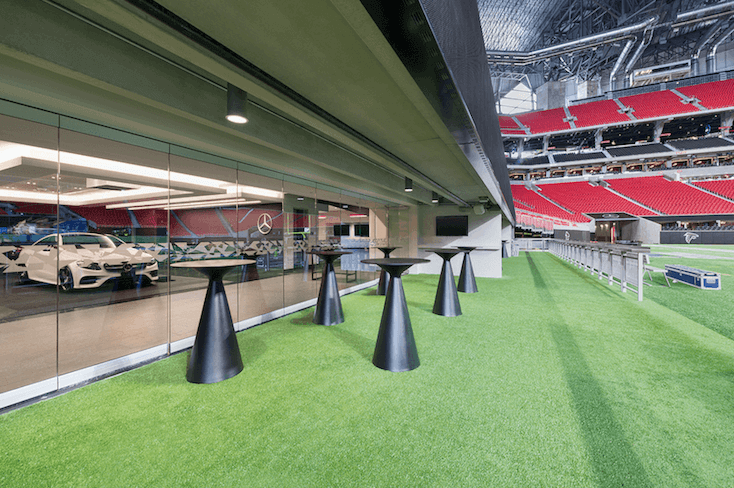 When the Atlanta Falcons wanted a new home for their professional football team, they sought out top of the line designers and contractors. The high-profile project would create a new 77,500-seat stadium with a retractable roof, which could host a number of events such as Super Bowls, World Cup matches, concerts, and more. The new stadium would need to meet the vision of AMB Sports + Entertainment (AMBSE) and Arthur Blank, owner and chairman of the Atlanta Falcons and Atlanta United FC, who is a sustainable-practice leader, business leader and philanthropist in the Atlanta area. 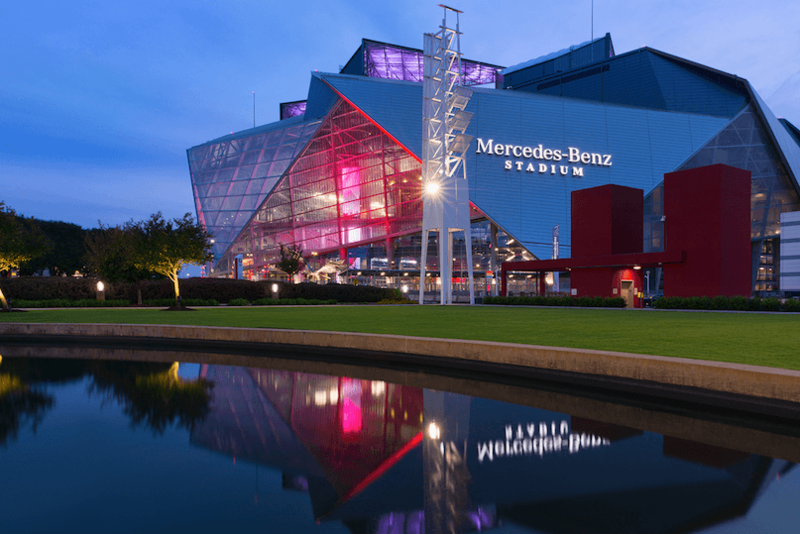 A project of this caliber had the entire city of Atlanta waiting for it to be complete in time for the 2017 NFL season, and had the attention of several political interest groups as the location was decided. Darden & Company, an Atlanta-based real estate project management company, was brought on to manage the construction project for AMBSE. During high-profile projects, relationships with product suppliers and manufacturers can help ease the stress of schedules and product delays. This is why Reide Onley, Senior Vice President of the Building Solutions team with CRH, initially approached Darden’s Senior Vice President Jason Hughes. “Reide approached a colleague and me to let us know where he could be of service,” Hughes said. Jason had met Reide prior to the project and quickly built a trustworthy business relationship. They started talking about how problems on construction projects can be solved from a building materials standpoint by discussing product options with the manufacturer earlier in the planning process. As this was during conceptual design, Reide was able to connect the right people at the right time and specify several CRH products that would help maintain schedule and meet the innovative needs of all parties involved. At one point, Jason reached out to Reide about a lead-time problem. Reide was able to jump in quickly and help get the issue resolved. After three and a half years of construction, the stadium opened in August 2017 with a Falcons preseason game against the Arizona Cardinals. “The best part about knowing Reide and Oldcastle was that if there is a cost or schedule issue, I have the direct relationship with Reide to call him at any point and dive into it with him,” Hughes said. The two-million-square-foot stadium is the first professional sports stadium in the U.S. to achieve LEED Platinum certification by the United States Green Building Council (USGBC), receiving the highest points – 88 – given by the USGBC. 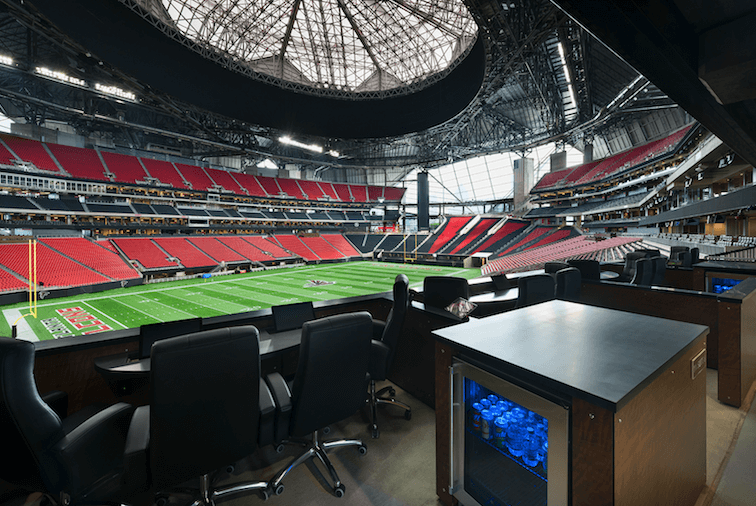 And, in February 2017, The Associated General Contractors of America announced that the Mercedes-Benz Stadium was selected for best building project over $100 million, and that the joint venture of Holder-Hunt-Russell-Moody won the Construction Risk Partners Build America Grand award. There are many ways that the Building Solutions team can make the perfect project a reality.